Nestled in the Sierra mountains in the quiant town of Truckee lives the sweet little shop Summit Swirl Frozen Yogurt. Built pretty much from the ground up, Summit Swirl opened its doors in December of 2015 with the hard work of co-owners and married couple Tom and Jojo. The Richards have a small family of their own (2 young daughters) and were looking to open something small that would allow for family time yet also to bring something to the town of Truckee and the greater North Lake Tahoe area. Frozen Yogurt was the calling. 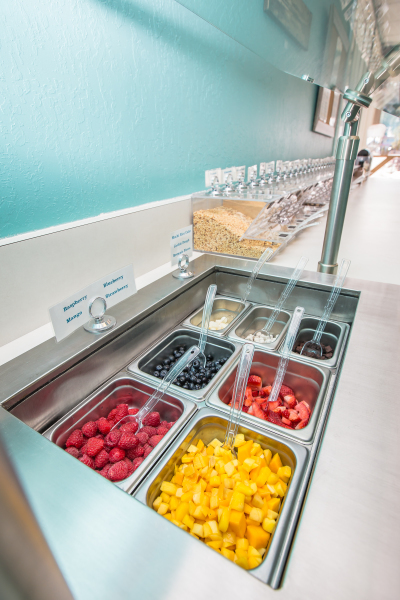 Summit Swirl now serves 8 rotating flavors of frozen yogurt, gelato, sorbet and non-dairy based yogurts. Beyond the many flavors that they have offered there is a long line of toppings to accompany any cup. Fresh fruit, crushed candy bars, nuts, sauces...you name it, they have it. Or if they don't they're likely to get it if the demand is there. The squeaky clean and warm environment has proven to be a favorite among local Truckee people with large benches out front to watch the train go by in the hills and an adorable kids corner complete with toddler size stools and a counter inside. Always friendly staff meet and greet you with a smile and are there to offer recomendations or answer questions. Free samples, stamp cards and fun promotional deals like "Guess Your Weight Wednesdays" are sure to keep you coming back. Summit Swirl also loves to support the commuity with charity events, private parties, and benefits. This small town, family owned business is soon to be a staple when you stop through the town of Truckee. Did we mention that Tom and Jojo have sought out the most premium products on the market and continue their quest to better the product and therefore their business. 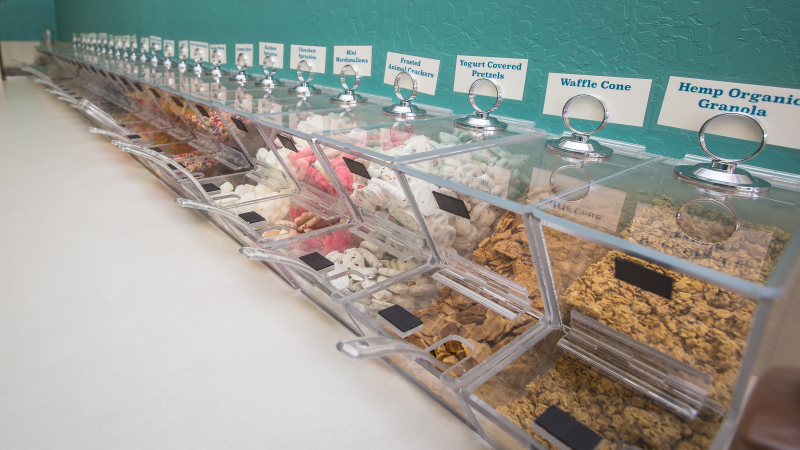 Summit Swirl is a self serve frozen yogurt shop that charges by weight and allows you to create your own sweet magic in every cup.